Sami believed that EJ was still alive, Hope was devastated by the truth about Aiden and Bo returned to Salem but for how long? 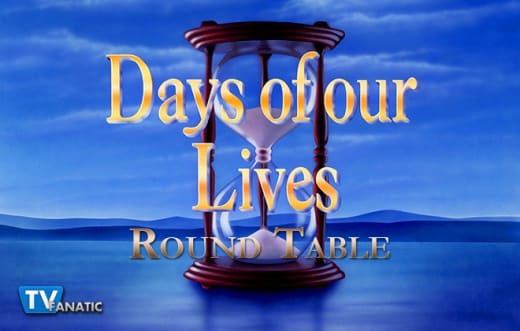 Our TV Fanatics Jack Ori and Christine Orlando are joined by Melly from MyHourglass a Days of Our Lives Fan Forum to debate Bo and Hope’s future, Ben’s feelings towards Abigail and whether they think EJ is alive after last week’s Days of Our Lives. Do you believe that EJ is alive? Jack: No. I think this is all of one of Andre's tricks. Melly: I want to believe that EJ is alive....IF the role is filled by James Scott. I have mixed feelings about the character, but I do think that the actor played him well and had good chemistry with many of the other actors on Days. Christine: I loved EJ but I don’t see the purpose of bringing him back if Sami and the kids aren’t sticking around Salem. I suppose it could be nice to think they’re off enjoying their lives somewhere but I wish they would have done that when both the actors left the show last year. Do you want to see Bo and Hope back together as a couple? Jack: Not really. I'm still.heartbroken over what they did to Hope/Aiden and I'm not happy with this instant forgiveness for Bo after years of abandonment that started with a lie. Christine: Yes. I grew up on Hope and Bo and it took a moment to feel that chemistry between them. 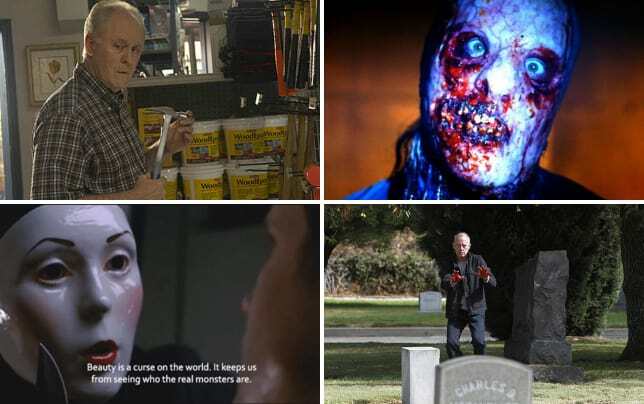 As much as I liked Hope and Aiden (before they destroyed Aiden’s character) they never had the connection that exists between Bo and Hope. Keeping it spoiler free, do you think that Bo is dying? Jack: It certainly looks like it. Something serious is going on. Melly: Pretty sure you can guess my response...but, while I'm not sure if Bo is dying, it wouldn't hurt my feelings--and we might get some good scenes out of that storyline. Christine: It wouldn’t surprise me. If Peter Reckell doesn’t want to stay on the show long term, at least that would close out the Bo and Hope arc, as heartbreaking as that would be. Also, I do kind of like Hope and Rafe getting together somewhere in the future. Does Ben care about Abby and the baby or is he more concerned about having control over them? Jack: On some level he does but he mainly wants control. Melly: I'm going with control. I just don't trust Ben enough to give him credit for much of anything. Christine: I don’t think Ben is capable of love. Something is inherently broken in him and I think he equates control with love. What did you think of Ciara, Chase and Shawn’s reaction to recent events? Jack: Chase's reaction was interesting and made sense. Ciara has turned into a pod person and should have more mixed feelings instead of just instant love for Bo and hate for Aiden. Shawn's reaction is too low key. Melly: Ciara....it's like she's a whole different person. Her reaction to Bo as well as to what was uncovered about Aiden, it's just out of character. Maybe I just pigeonholed her into my perception of the character, because I always saw her as this super-sassy spitfire of a kid who would grow up into a real handful of a teenager and young adult. Am I wrong? Christine: Shawn was way too low key. Chase’s angst made sense but I kind of hate that the character is stuck in this story. I don’t know what to think of Ciara. It’s hard to read her reaction given the actor change in the middle of this convoluted story. Was there anything that disappointed you this week in Salem? Jack: That they ended Aiden’s story this way. Also that Jen didn't give Rafe all the details about Abby's disappearance. Also I would have loved to see an on screen scene between JJ and Rafe rather than a mention. Melly: Aiden/Hope/Bo. I'm not a fan of Bo and the way he's neglected Hope over the years, but still had reservations when Aiden was introduced. I grew to like the character and the actor, though, and was happy to see Hope moving on. Christine: That Hope didn’t fight off Aiden. I wanted her to rescue herself. Also, Ben holding Abigail all week. I’m tired of all of the violence against women on this show recently. What was your favorite quote, scene or storyline this week on Days of Our Lives? Jack: JJ visiting Paige's grave was really moving. I also liked Chad vowing to get Abby home with or without Rafe. Melly: Actually, I liked Sami/John/Marlena...and I'm not sure exactly why! I typically don't like Marlena and Sami together, but... And, of course, JJ. Need to catch up? You can read our Days of Our Lives recap and review here at TV Fanatic.